After a hard winter, working in the April garden is pure bliss. It's time to pull out your garden tools and get moving. Gardeners are always at the mercy of the whims of nature. Spring can sneak up on you or drag its heels and then jump full force into summer. Be prepared with an organized "To Do" list and take advantage of whatever nice days we are afforded. Our plants will still need pruning, feeding and weeding even if the sun doesn't always shine. Keep ahead of the weeds. Direct sow and transplant hardy annuals toward the end of the month, when night temperatures stay above 55 degrees F.
Try to prune roses before bud break. If you're running late, do them ASAP. Start seeds of warm-season vegetables and flowers. Direct seed cool-season vegetables and flowers when the ground can be worked. Begin hardening off cool season seedlings, to transplant at the end of the month. Work on your soil. Add amendments if needed and plow under any cover crops planted last season, before they go to seed. Begin planting out transplants, if the ground is not too soaked. Get greens started by direct seeding outdoors. Plant a little each month, for succession harvests. Divide perennials during cool, rainy season. Keep row covers handy for cold snaps. Thin fruit on trees to about 4-5 inches apart, to encourage the remaining fruit to mature to full size. 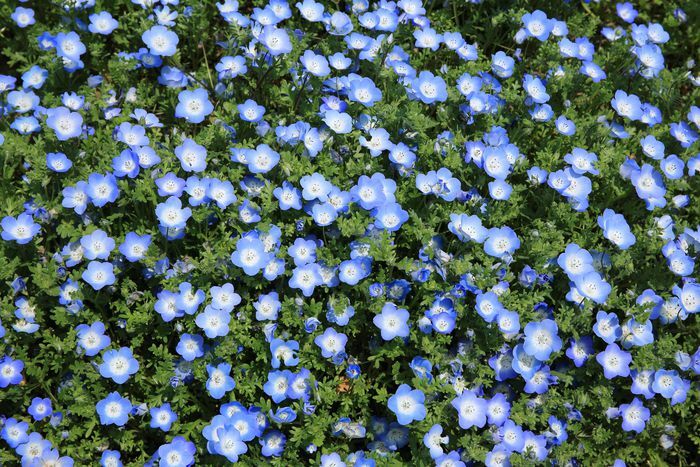 Shop for azaleas, clematis and other flowers in bloom in garden centers. Hotter regions can begin planting tropicals outdoors. Add mulch where needed, especially around tree and shrub roots. Be prepared for cold snaps at night. Use row covers, newspapers, or sheets to protect seedlings. Start seeds indoor of warm season vegetables and flowers if you haven't yet. Check on cool season crops for harvesting. Direct seed in the vegetable garden toward the end of the month. 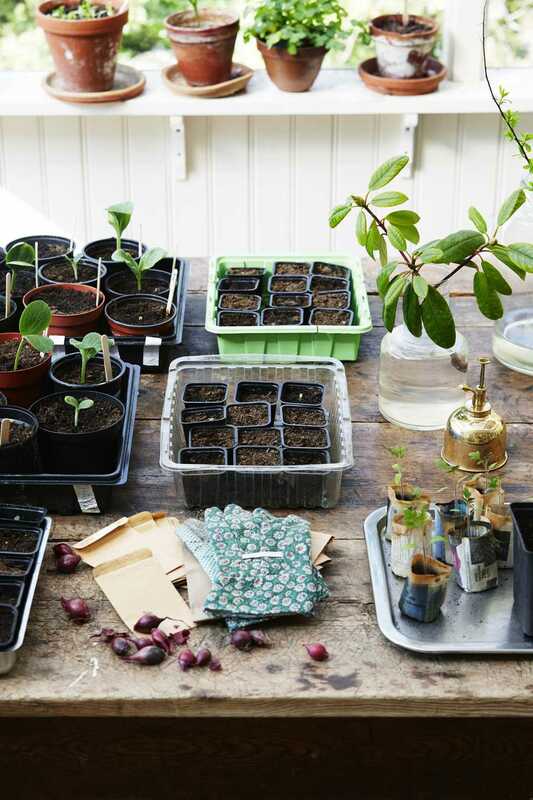 Begin transplanting warm season seedlings outdoors, at the end of April when the soil has warmed and night temperatures stay above 50 degrees F.
Give your bulbs some food once they finish blooming and allow the foliage to remain until it begins to turn yellow. Feed fruit and nut trees and bushes. Enjoy the flowering shrubs in bloom and keep an eye out for Trillium. Start seeds of cool season vegetables and slow-growing warm season crops, including herbs, during the first half of April. Hang in there. Next month will be better. Get whatever you can transplant now before the weather turns hot, and the mosquitoes take over. Mulch around trees and shrubs. Make sure you water, if rain is not regular. Replace cool-season flowers and vegetables as they begin to fade, with warm season plants. Keep an eye out for grasshopper infestations. Start seeds of warm season plants. Plant container-grown fruit and nut trees. Enjoy the warm days of spring and the flowering trees. Spray for citrus scale with insecticidal soap or neem. Continue transplanting and dividing perennials. Plant cool-season flowers and spring blooming bulbs. Stop feeding roses to discourage new growth that could be injured by cold weather. Finish planting trees and shrubs by mid-May, to allow them to establish roots before winter. Water winter and spring-flowering shrubs as needed. Sow and continue watering cool season lawns.